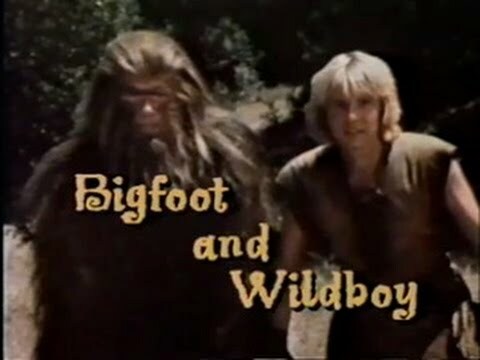 Bigfoot and Wildboy was a children's live action television show that was, at first, part of a variety show called The Krofft Supershow, in 1977 on ABC. The Krofft Supershow itself lasted from 1976 to 1978, while Bigfoot and Wildboy, at the time a part of Krofft, had an initial 8-episode run before breaking off into its own series in 1979 and having a 12-episode run, therefore making a 20-episode series overall. Its final episode premiered on August 18th, 1979. However, a blog post states that 28 episodes were produced. The show's plot was about Bigfoot finding a little boy lost in the wild and raising him as his own, naming him Wildboy. The two would get into rather unusual adventures, such as an UFO, a vampire or an abominable snowman. Some of the show's episodes have surfaced, but there are some that have not surfaced in their entirety. Every episode from the Krofft Supershow series has surfaced, but only one episode from the show's run as a stand-alone series has surfaced in full length, that being "Return of the Vampire". "The Other Bigfoot" has partially survived, in a minute-and-a-half long clip in Spanish.